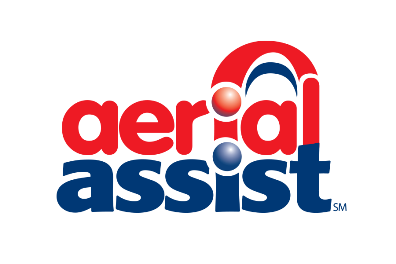 Our 2014 season was called Aerial Assist, proceeding with the theme of vertical themed game titles. The game was based around large inflatable balls that would have to be passed from team to team to score points. The intent of this game was to have teams cooperate to deliver the ball to the other side of the field and score in the high or low goals. The more teams cooperated with each other, and the higher they were able to score, the more points the alliance would receive. Like previous games, Aerial Assist started with a ten second autonomous period where the robots would run entirely off their program to try and score a goals that where worth twice the points. Then, after the ten seconds are over, drivers take over, and the tele-op period begins, which lasts for another two minutes. The game Aerial Assist was primarily played in three stages. 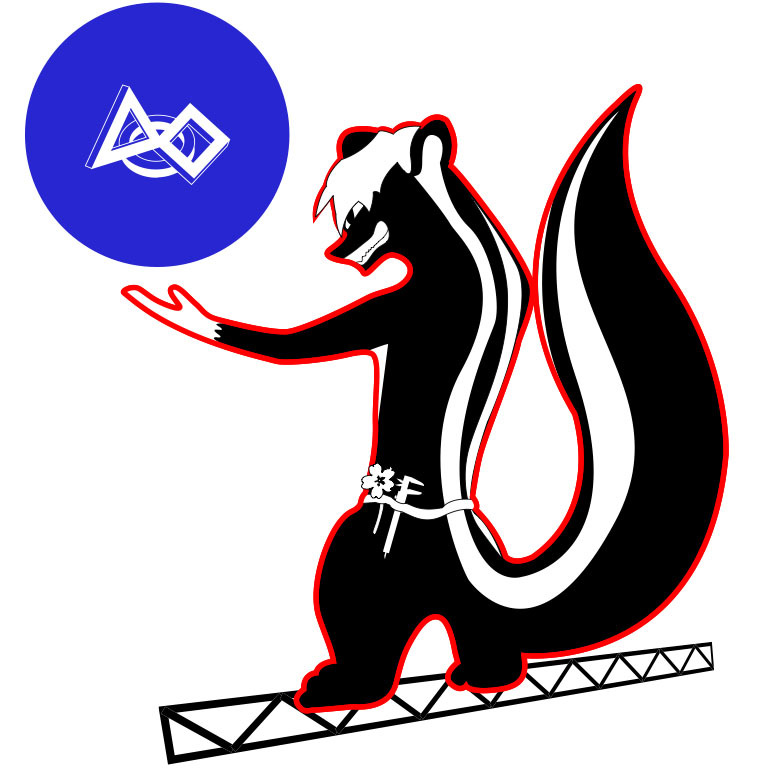 For example, if on the blue team, a robot would collect a ball from the red side of the field, and pass it to the next team. Next, that team would either pass the ball straight to the final scoring team, score the ball themselves, or shoot the ball over a truss located in the center of the field for an extra ten points. Finally, the last team would collect the ball, and score it on the blue side of the field. 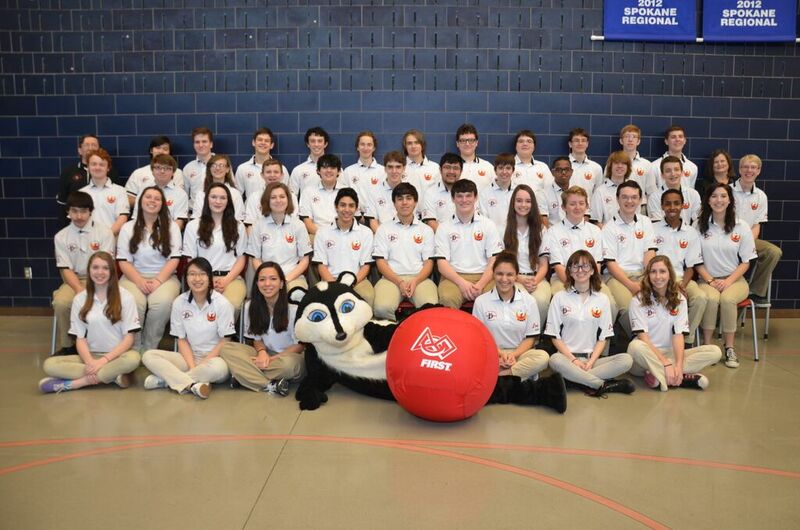 Our 2014 robot, Flower, instead of playing as a collector or scorer, worked as the middleman, transferring the ball over the truss to the scoring robot, or the human player along the sidelines (to avoid the possibility of being blocked by the other team). Our team consisted of 41 students and a plethora of mentors. Check out our 2014 scrapbook. 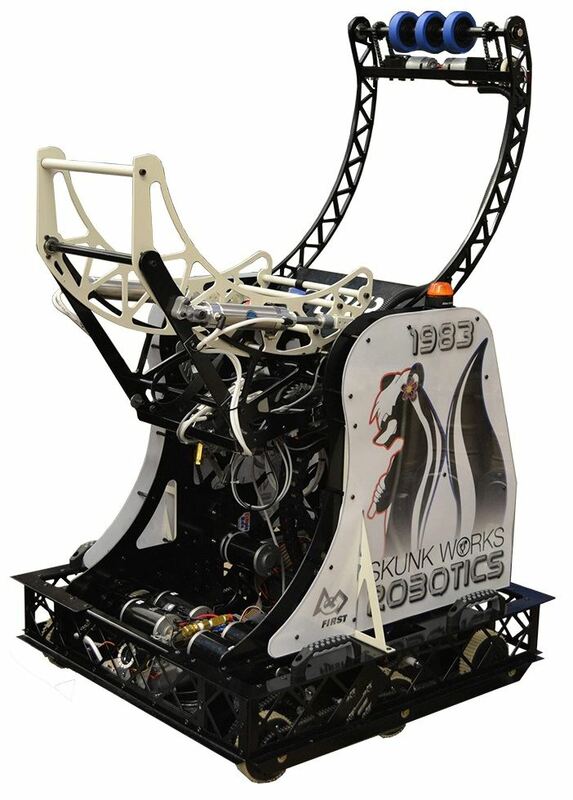 Our robot from this year is named Flower after the skunk in Disney's Bambi. It has a six-wheel drivebase with 5 fps in low gear for more pushing power and 15 fps in high gear. It also has a robust drive train and West Coast transmissions. Its shooter is engineered for its jaws to open for an instantaneous shot and shoots in the 1 and 10 point goals and over the truss. It has white zone scoring capability and strong ball possession, as well. Its dual motor roller inductor with an encoder allows Flower to have a fast wheel collecting system.